An 81-year-old victim was struck by two vehicles after accelerating into the southbound lanes of North Broadway. Hicksville, NY - March 8, 2014 - The Homicide Squad reports the details of a fatal motor vehicle accident that occurred on Friday, March 7, 2014 at 4:00 p.m. in Hicksville. According to detectives, a female victim, 81 years of age, was driving a 2001 Toyota eastbound on Princess Street when the vehicle accelerated and crossed the southbound lanes of North Broadway, continuing over the center median into the northbound lanes, striking a 2014 Ford Focus, being driven by a 31 year old male. The vehicle was redirected into the path of a 2012 tractor trailer traveling northbound being operated by a 45 year old male. The impact of the collision caused the victim to be ejected from her vehicle. She was transported to a local hospital where she was pronounced deceased by hospital personnel. A brake and safety check was conducted on the tractor trailer at the scene and the other vehicles were impounded. No other injuries were reported. The victim’s identity is being withheld pending family notification. The investigation is ongoing at this time. 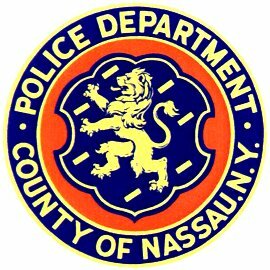 Subject: LongIsland.com - Your Name sent you Article details of "NCPD Reports Fatal Car Accident in Hicksville"